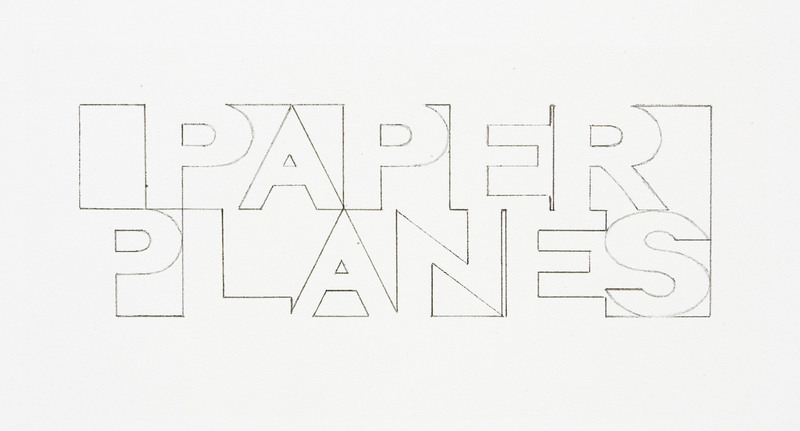 Paper Planes is a group show of work on paper by 16 nationally and internationally recognised artists, curated by Andrew Mackenzie, as part of Stow Music and Arts Festival 2013. Opening night: Friday 16th August 2013, 6pm. 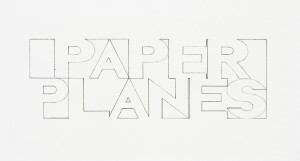 The exhibition will examine diverse creative responses to working with paper; from drawing and painting on found paper objects, by Stow-based artist David Cass, to collaborative drawings between a painter and a sculptor, Karen Kirkwood and Euan Robertson;a watercolour by internationally acclaimed artist, Callum Innes; an abstract collage by Glasgow-based Philip Reeves and a stunning etching by Bronwen Sleigh. Also included will be small abstract works on paper by Paul Keir, Alan Shipway and James Lumsden, a screenprint by Graeme Todd, and a minimal abstract collage by Swedish artist Louice Lusby Taylor. Pat Law works in many ways, including painting, drawing, video and sound, but for this show has made drawings using Icelandic lava dust, glacial melt, salt and graphite. Mary Morrison creates beautiful map-like surfaces made using oil, ash and pigment. Sharon Quigley makes intricately patterned surfaces with a variety of materials, fusing a myriad of cultural references from diagrammatic engravings, arabesques, micrographic reproductions and cellular structures. All the work, although diverse, relates together visually through an abstract sensibility which responds directly to the properties of the materials.